Seen here: Junior track & field stars enjoying Rhodes Quality at the PUMA School of Speed #2 at the Ruimsig Stadium (Roodepoort) on Saturday, 02 February 2019. 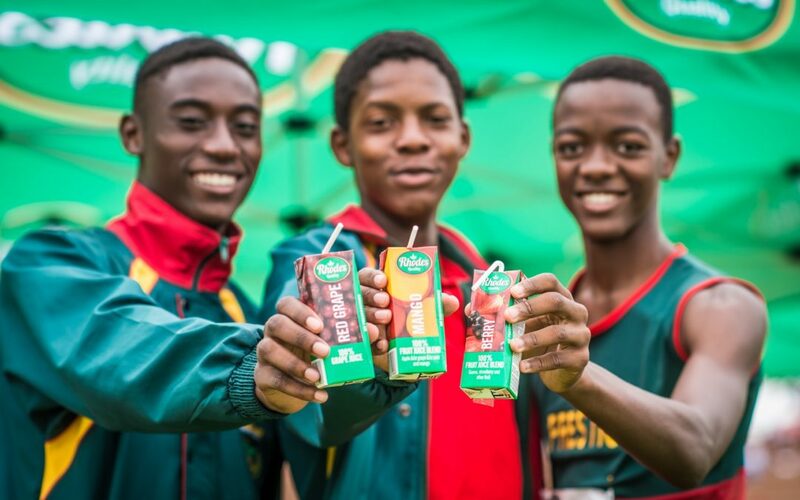 Rhodes Food Group, a leading FMCG and proudly South African company known for its household brand Rhodes Quality which spans across canned jam, fruit, vegetables and juice categories has joined South Africa’s premier schools track & field series, the 2019 PUMA School of Speed as the official juice partner of the five action packed meets. Launched in November 2016, the PUMA School of Speed Series is committed to the development of athletics talent in South Africa by discovering the fastest young Speedsters. Top of FormAll entrants will stand a chance to be scouted and contracted to the PUMA Squad. The contract will be for the duration of one calendar year.